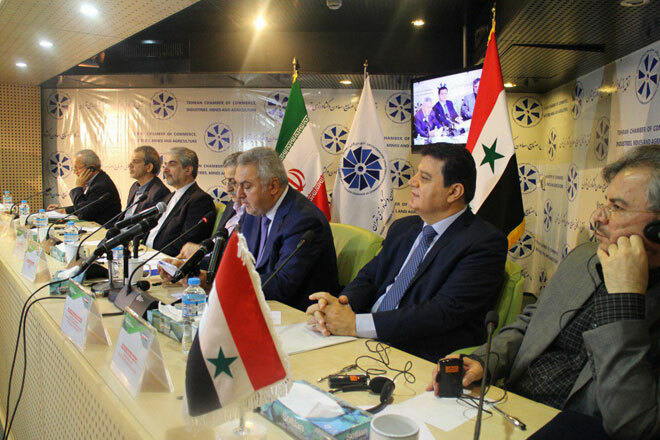 Tehran, SANA- The Syrian-Iranian Businessmen Forum on Saturday kicked off in Tehran with the participation of a delegation of Syrian businessmen that comprises 50 businessmen headed by Secretary General of the Federation of Syrian Chambers of Commerce Mohammad Hamshou. Hamshou and Chairman of Tehran Chamber of Commerce Masoud Khansari co-chair the Forum. 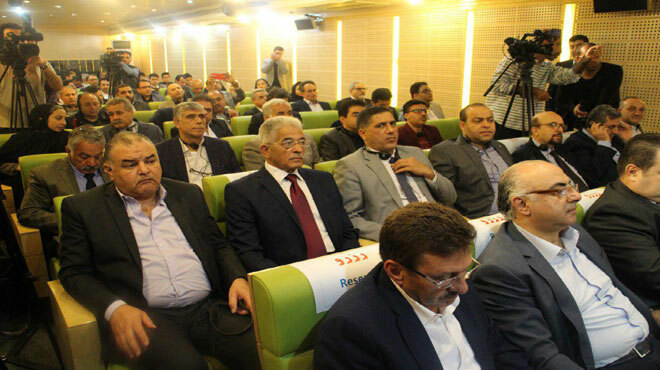 In a speech during the opening of the Forum, Hamshou underlined the necessity of upgrading economic, trade and investment relations between Syria and Iran to reach the level of the distinguished political ones binding the two friendly countries. 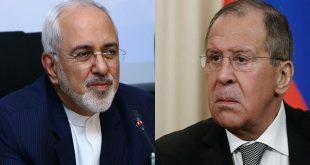 Hamshou said that cooperation between Syria and Iran in different domains “foils the embargo imposed on the two states,” reiterating that the participation of Syria in the Forum clearly proves keenness on overcoming the unilateral coercive measures imposed on the peoples of the two countries and the obstacles facing the process of joint cooperation. 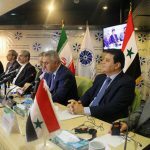 Meanwhile, Syria’s Ambassador to Iran Dr. Adnan Mahmoud said that the Forum is held in a time when the two states are working on pushing the track of economic and trade cooperation to a new stage in order to reach the establishment of long-term strategic economic cooperation that forms a basis for facing pressures and unilateral coercive measures imposed on the two states. Ambassador Mahmoud added that Syria’s victory over terrorism formed a suitable basis for launching the reconstruction process. 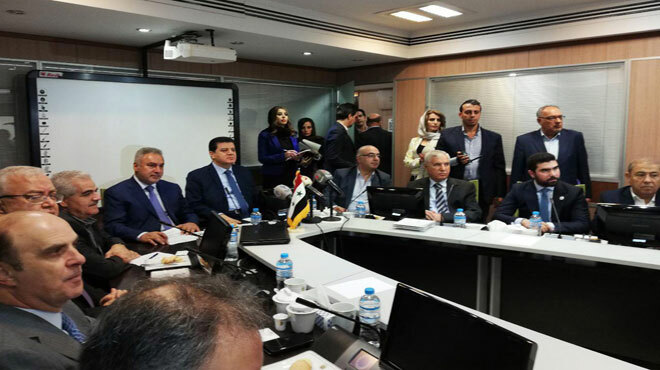 He affirmed that the Syrian Government has given priority to the allied countries in the war against terrorism to participate in the reconstruction of the infrastructure and in the building of the productive sectors and developmental projects. 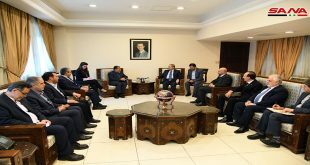 He indicated that the door is open to Iranian businessmen, private companies and public sector to actively participate in the reconstruction and to make investments in the economic, industrial and productive projects in Syria and to benefit from the potentials in a way that serves the interests of the two friendly countries. 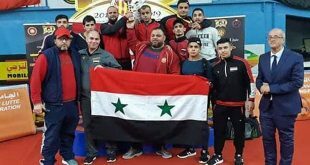 In turn, Iranian Ambassador in Damascus Javad Turk-Abadi called for enhancing cooperation between the two countries, indicating that there are many domains of work between Syria and Iran. 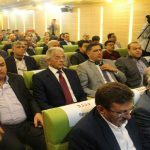 Advisor to First Vice-President of the Islamic Republic of Iran and Chairman of the Iranian Committee on the Development of Economic Relations with Syria and Iraq Hassan Danaiefar described the Forum as a “very qualitative leap and a great start” that pave the way for a significant stage. He called for uniting efforts to reach important outcomes on the level of investment, construction, trade and different sectors. 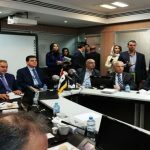 On sidelines of the Forum, delegation of Syrian businessmen discussed with Danaiefar and Khansari mechanisms of strategic cooperation in the economic, trade and investment spheres. During the meeting, Hamshou and Khansari affirmed determination to work on upgrading the level of economic, trade and investment relations to reach the level of political relations and to overcome the obstacles facing the process of joint cooperation, in addition to establishing productive and trade partnerships in all sectors. 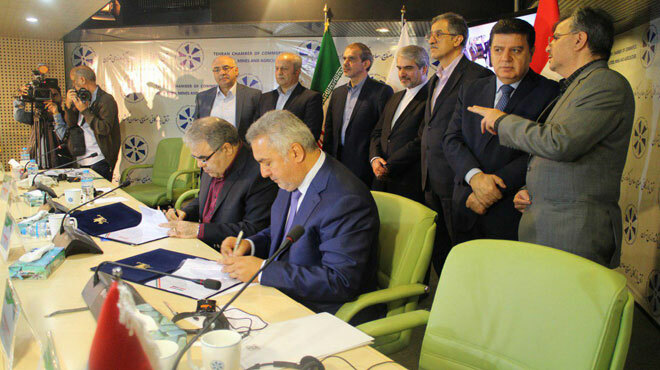 Hamsho and Secretary General of Iran Chamber of Commerce Alireza Ashraf also signed a memo of understanding on setting up Joint Chamber of Commerce between the Federation of Syrian Chambers of Commerce and the Chamber of Commerce, Industry, Mines and Agriculture of Iran in the framework of the friendly relations between the two countries. The executive framework of the memo aims at developing the trade relations and economic cooperation in different domains. 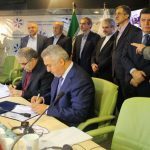 The two sides also agreed on the optimal benefit from the potentials provided by the Free Trade Agreement signed between the two countries in 2011 with the aim of developing and upgrading the level of trade exchange between Syria and Iran. 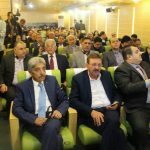 Hamshou welcomed the readiness of the Iranian private sector to actively participate in the projects of the reconstruction in Syria and to provide the needs of the Syrian side, in addition to carrying out joint investment projects in the stage of reconstruction. 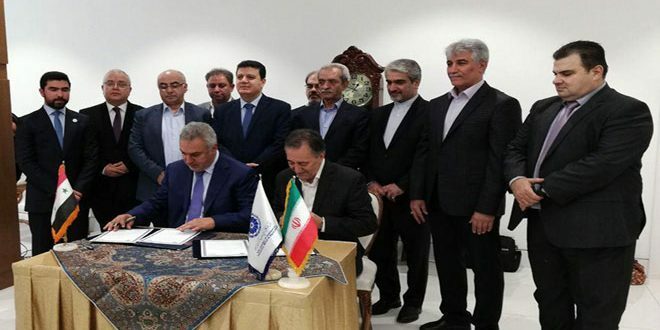 In a relevant context, Hamshou discussed with Chairman of Iran Chamber of Commerce, Industries, Mines and Agriculture (ICCIMA) Gholam Hossein Shafei `mechanisms of bilateral cooperation between the two countries. 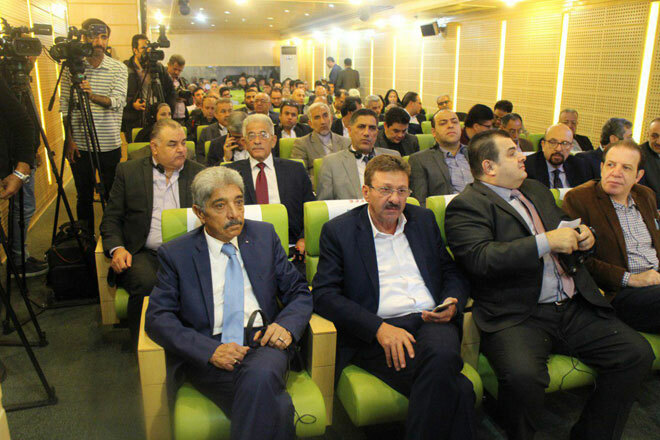 Shafei expressed Iran’s readiness to cooperate with Syria in the domain of building roads, bridges and power plants, indicating that Iran possesses advanced experiences and capabilities to support Syria in the reconstruction.